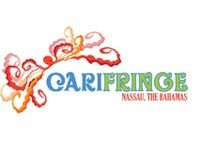 Nassau The Bahamas – An explosion of art and culture will be hitting Nassau this coming October in the form of CariFringe, an annual ten day regional arts festival for the Caribbean. This year’s inaugural festival will take place during the 1st and 11th of October and will be spread mostly throughout the downtown core, allowing both locals and visitors to actively participate in the wide range of events scheduled. CariFringe is inspired and loosely modeled on the Caribbean Festival of Arts (CARIFESTA) as well as other annual fringe festivals such as the Edinburgh Fringe Festival. Unlike CARIFESTA, which is funded, managed, and produced by the host government, CariFringe is designed and managed by artists for artists. Artists will be given the opportunity and responsibility to have their own artistic direction and manage their own project allowing them to seek funding and sponsorship from the sector and company of their choice. The evolution of this Bahamas Arts Collective (BAC) venture has held the goal of assisting in creating a more homogenized local cultural community through a unifying umbrella. Without erecting any structures specific to the inaugural fringe events, a cross-section of regional arts and cultural interests are resource sharing to establish long-term mutually beneficial relationships between corporate entities, community minded spaces and cultural industries. Given the popularity of individual CariFringe Affiliates, Shakespeare in Paradise (SIP), for example, drew 4500 attendees during last year’s performances; CariFringe anticipates a strong inaugural year. “People love festivals and we are using this as a tool to bring people together. We can have a huge impact if we connect and stay connected,” notes Jon Murray festival coordinator. Keeping one eye on this Fringe Festivals mission statement, “to implement CariFringe as an annually anticipated cohesive event of cultural happenings which showcase the best and ignites the passion of the aspiring,” core coordinators build a dialogue of resource sharing on a smart budget. Cultural enterprises within the region should see the tough economic climate as a breeding ground for experimentation and a model for strategic budgeting to enhance profits for participants. The fresh vision of this management model not only benefits the artists individually but also collectively creates a long-term investment opportunity for both artists and their investors. While artists will share resources and benefits, such as advertising, they will also be assisted by CariFringe programming management to curtail unforeseen sponsorship conflicts and event scheduling. “For years Bahamian musicians have asked me to host a music conference, and CariFringe was the perfect opportunity to do so,” says Terneille “TaDa” Burrows, founder of MUMO: Music Momentum Summit and member of BAC. Artists can see the untapped networking potential of a Fringe festival. Since the announcement for CariFringe on behalf of BAC, at The Regional Cultural Community meeting held in Surinam 2009, “cross-pollination” has become a CariFringe driving point. The timing of the festival was strategically selected to increase international artist and tourist participation, a welcome boost to the economy during this traditionally slow tourism period. Along with showcasing a bounty of artistic and cultural events the festival intends to provide economic benefits and opportunities locally and regionally. CariFringe provides an opportunity for corporate participation in the cultural industry along with the establishment of mutually beneficial relationships with local artists and businesses. Economic opportunities for local business and individuals will also see benefits from the festivals such as restaurants, vendors and hotels, located near and around the festival venues. Join us for experiencing CariFringe presented by festival affiliates MuMo: Music Momentum Summit, Shakespeare In Paradise (SiP), The National Art Gallery of the Bahamas, Popopstudios Center for the Visual Arts, town magazine, FAM Fest, Doongalik Studios Art Gallery, Islands Of the World Fashion Week, Brown Entertainment Group, Bahamian Theater Dance Company, The D’Aguilar Art Foundation, The Caribbean Review of Books, Bahamas Writers Summer Institute (BWSI), Caribbean Traveling Film Showcase, The Central Bank of the Bahamas Art Gallery, Bahamas National Youth Council and New Providence Art & Antiques. For event information visit us at carifringe.org or come down to # 12 West Street, 12-7pm, Monday – Friday and get sucked in!